Acting Minister for Agriculture Mereseini Vuniwaqa during the launch of the Fiji Kava Chain Analysis Report at the Fiji Museum on June 14,2018.Photo:Simione Haravanua. Cakaudrove, Kadavu, Lomaiviti and Bua are the major kava-growing areas in Fiji with some 64 per cent of registered growers located in these provinces. This was highlighted in the Kava Value Chain Analysis Report which was launched at the Fiji Museum, Suva, last night. The analysis is the first comprehensive study carried out for the kava sector and was supported by the Australian and New Zealand-funded Pacific Horticultural and Agricultural Market Access (PHAMA) Program* in collaboration with the Ministry of Agriculture. While officiating at the launch, Minister for Women, Children and Poverty Alleviation and Acting Minister for Agriculture, Rural and Maritime Development and National Disaster Management and Meteorological Services Mereseini Vuniwaqa , Mereseini Vuniwaqa said: “Although kava has been grown in Fiji for centuries, it has only been in the recent past that production statistics have been recorded based on the transition of kava from subsistence to cash crop. “Reflecting the increased demand for kava in the local and overseas markets, commercial production has consistently increased from a low of about 900 tonnes in the 1990s to 9,000 tonnes in 2017. Kava exports were valued at FJ$19million in 2017 and together, I’m confident we can increase that figure looking ahead. “Because there is a lot of opportunity out there, kava is becoming a favorite drink in markets around the world, and Fijian kava is well positioned to take advantage of those emerging market opportunities. “To prepare us for that growth, the Ministry of Agriculture has supported the creation of a Kava Bill in 2016 as well as a Kava Standard and Manual. “This is to ensure that the domestic and international trade of kava is practiced in accordance with quality standards and procedures. “This is also part of a regional strategy, which is driven by all kava-producing countries in the Pacific,in order to have comprehensive legislation and supporting procedures in place. “The Kava Value Chain Analysis is the first comprehensive study that has been carried out for the kava sector. It complements our efforts to improve the consistency and reliability ofour kava production and also to grow exports of high-quality kava products. “With the results of this analysis, we now have a better understanding of how the sector works, and more importantly, we can map a way forward to work and address the issues raised. “The findings show that the total gross income from kava sales amount to around $320million, of which 92 per cent comes from domestic sales and eight per cent from exports. It is encouraging to note that a detailed analysis of gender and social inclusion is also referenced in this report. Australia’s High Commissioner to Fiji, John Feakes said the report would be a useful contribution to discussions about the future of Fiji’s kava sector. He said the findings and recommendations in the report aligned with Australia’s development policy to support Fiji’s economic growth and improve rural livelihoods through private sectordevelopment and trade openness. “The kava value chain analysis was a result of good technical support under the PHAMA Program. 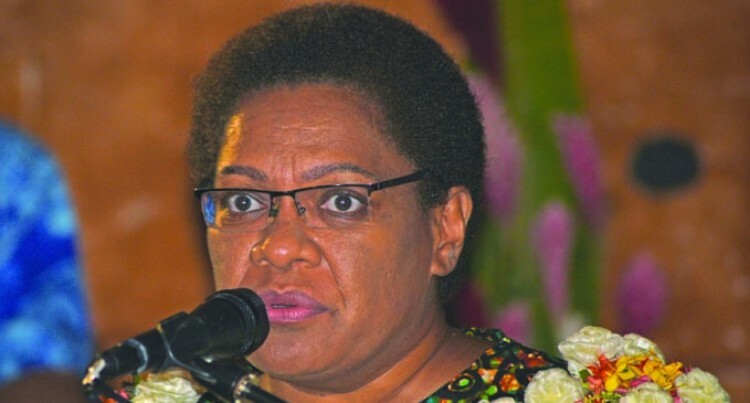 “I am pleased to inform that the tender process is underway for a new PHAMA Program that will continue to support Fiji’s trade and export opportunities for the next four years,” he said.